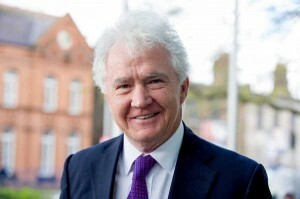 A judge has ordered that former Anglo Irish Bank chairman Sean FitzPatrick be found not guilty of hiding millions of euro in loans from auditors. On day 126 of the State’s longest running criminal trial, Judge John Aylmer said that there was a real risk that the former bank executive would be denied his constitutional right to a fair trial. He said this resulted from alarming flaws in the prosecution. The judge said that he intended to direct the jury to acquit Mr FitzPatrick (68), of Whitshed Road, Greystones, Co Wicklow, of all remaining charges. His ruling was made in the absence of the jury, which returns to court tomorrow morning. The prosecution alleged that amount of loans connected to Mr FitzPatrick was artificially reduced for a period of two weeks around the bank’s financial end of year statement by short term loans from other sources, including Irish Nationwide Building Society. Described as “refinancing”, this practice was also known as “bed-and-breakfasting” or “warehousing”, as the loans would be allegedly put into short term storage. During legal argument, Dublin Circuit Criminal Court heard there was nothing illegal about the loans arrangement. The State alleged that the former director was obliged to disclose the full extent of his loans to the bank’s auditors Ernst & Young and instead he had concealed them. After his arrest in 2010, Mr FitzPatrick denied to investigating gardaí from the Garda Bureau of Fraud Investigation that he had ever sought to conceal the multi-million euro loans. He told detectives that there was no financial benefit to him, his family or the bank in the annual refinancing of some of his loans. Speaking outside of court after the ruling, Mr FitzPatrick said it had been a long, tiring and difficult time for him and his family. He said that thankfully the trial was over now and it was a wonderful day for him and his family. Judge Aylmer had said that the investigation, carried out by the Office of the Director of Corporate Enforcement (ODCE), fell short of an unbiased, impartial and balanced investigation that an accused is entitled to. He said this was because the lead investigator for the ODCE, Kevin O’Connell, was inexperienced and made fundamental mistakes. Judge Aylmer said the ODCE investigation failed to seek out evidence as to the innocence as well as the guilt of the accused. He said the ODCE adopted an inappropriate, biased and partisan approach and were trying to build a case rather than investigating a case impartially. Much of the case rested on “letters of representation” signed by each Anglo directors during the audit and the judge ruled that this issue was not properly investigated. Judge Aylmer said the most fundamental error was the way in which the ODCE set about taking statements from witnesses. He said this involved coaching of witnesses, contamination of their statements from third parties such as solicitors for the auditors and cross-contamination between witness statements. He said warnings to the jury would be inadequate to address these flaws. Judge Aylmer also pointed to the extraordinary destruction of documents linked to the investigation by the lead investigator. This happened during legal argument in the first trial in May 2015 and emerged during that trial. The judge said there must be a concern that the shredded documents were of assistance to the defence and damaging to the prosecution. The retrial of Mr FitzPatrick began last September. It was scheduled to last three months but quickly became bogged down in weeks of legal argument in the absence of the jury. Mr FitzPatrick had pleaded not guilty to 27 offences under the 1990 Companies Act. These include 22 charges of making a misleading, false or deceptive statement to auditors and five charges of furnishing false information in the years 2002 to 2007. The DPP withdrew nine of these charges earlier this month. The prosecution came on foot of an investigation by the ODCE that began shortly after the full size of Mr FitzPatrick’s personal loans emerged in December 2008. Between 2002 and 2007 loans taken out by Mr FitzPatrick, his wife and family members increased from in the region of €10 million in 2002 to around €100 million in 2007. The revelations led to Mr FitzPatrick resigning as chairman. The loans were used to finance development of shopping centres, hotels and offices at a time when a lot of money could be made in property development, the jury were told at the start of the trial. Beginning a 15 page judgement, Judge John Aylmer said that it would be a further unfairness to Mr FitzPatrick if he didn’t at the outset state his intention to direct an acquittal on all counts. The judge then noted that he was dealing with two defence applications. One was to stop the trial on the basis that the accused has been denied his constitutional right to a fair trial. He said that the Kevin O’Connell, a legal advisor for the ODCE who was designated to run the investigation for the ODCE, had no previous experience relevant to the proper investigation of indictable offences. “As a consequence of that inexperience, he has admitted in evidence before me and before the jury that he made many fundamental errors in the investigation. “As a result, the investigation fell far short of the standard impartial, unbiased and thorough investigation in which the paramount duty was to seek out and preserve all evidence which was or might potentially be relevant to innocence as well as guilt, which is guaranteed under the constitution in this jurisdiction,” Judge Aylmer said. He said that the most fundamental error was the manner in which the ODCE went about taking witness statements from the two main prosecution witnesses, Kieran Kelly and Vincent Bergin of EY, who were the statutory auditors for Anglo Irish Bank. Initially the ODCE intended to follow the usual protocol by sending gardaí seconded to the ODCE to take statements from witnesses but “they quickly lost sight of that” and started a process of drafting statements through A&L Goodbody, solicitors for EY. Drafts of the statements were circulated to a number of people in the ODCE, including Mr O’Connell and his then boss, Paul Appleby, the director of corporate enforcement. The jury saw various versions of the witness statements with new sections inserted, other sections crossed out or deleted, and others marked with the words “drop” or “delete”. Bernard Condon SC, defending, compared the process of producing the statement to the “hokey cokey”. “It goes in and it goes out. The statement is just shaken out. A meeting of bits going in and bits going out,” he said. Mr O’Connell agreed during the trial that the process was wrong and inappropriate. Mr Condon told the court that rulings by Judge Mary Ellen Ring during the first trial in May 2015 and by Judge Aylmer during the current trial found that it was an unlawful practice. In his ruling, Judge Aylmer noted that the ODCE were acutely conscious that EY themselves were or were about to be investigated by their professional regulator regarding the adequacy of the statutory audits which they carried out for Anglo. He said EY were also at the time at risk of being sued by IBRC, the successor to Anglo. In order to ensure EY co-operated with the ODCE investigation investigators “were at pains to reassure EY…that they had no interest in investigating the adequacy of the audit”. “As a consequence the ODCE completely lost sight of the need to identify the nature and extent of the evidence relevant to both guilt and innocence which needed to be obtained and preserved,” the judge said. He said the statement-making process involved intense negotiations between investigators and A&L Goodbody and resulted in witness statements included in the book of evidence which had been drafted entirely by people other than the witnesses. Judge Alymer also said the the ODCE had taken an “inappropriately biased and partisan approach” to the investigation and said that internal memos showed that they were trying to build or construct a case rather than to investigate the case independently and impartially. “There were suggestions that questions ought not to be asked, the answers to which might be ‘unhelpful’ to the case being made by the ODCE,” he said. He said it was conceded by the prosecution that there was a very high degree of suggestion or coaching and contamination by others and cross-contamination in the preparation of the statements. He said these issues were of grave concern. As a result of these it only emerged during cross-examination of Mr Bergin and Mr Kelly just how little involvement they had in obtaining the letters of representation, which were the subject matter of 21 of the charges. The “letters of representation” ask directors to state their loans from a company during the year. This was a standard request from auditors to directors of ordinary firms but bank directors were only obliged to declare the amount of loans from their bank at financial year end. During the trial Mr Condon put it to Mr O’Connell that his client was in danger of being jailed because of a “clanger” of a mistake made by the bank’s auditors because they had asked Anglo directors to sign the “wrong” types of letter during some of the relevant years. Judge Aylmer said that the lack of involvement by the two lead auditors in putting these documents together might have been more apparent had their statements been taken in the usual and proper manner in a criminal investigation. This might have led to further investigation at the time regarding who in the EY audit team was involved in obtaining the letters from each director. He said this might have led to the gathering of evidence of the extent to which the audit team were aware of Mr FitzPatrick’s borrowings and their refinancing at year end. Judge Aylmer there was evidence that the full extent of his loans from the bank were disclosed in the quarterly returns to the Central Bank, which were on the EY audit file. “A very large number of banking staff within Anglo Irish Bank were fully aware of the refinancing process and there was no secret made of it within the bank at least below board level,” Judge Aylmer said. The judge said that the ODCE and the solicitors for the auditors scripted the evidence of Mr Bergin and Mr Kelly and this was based on presumptions that the audit team did not know about the extent of Mr FitzPatrick’s loans and an assumption that the auditors had required the information in the letters of representation and in particular, the aggregate total of directors’ loans during the year. He said the jury saw evidence of Mr Bergin’s testimony to the 2010 investigation by auditory regulatory body CARB, in which he said the disclosures in relation to loans in the letters of representation complied with accounting standards and company law and that there was no extra audit work undertaken in 2008 after the refinancing came to light. Judge Aylmer said that it was most alarming that it was only in cross-examination of the auditors that it emerged they only required the end of year figures for directors’ loans to be included in the letters of representations. He said this showed how the effect of the coaching on the testimony of witnesses was “pernicious”. “Had the defence cross-examination of Mr Bergin and Mr Kelly been less skillful and failed to expose the truth about their lack of involvement in obtaining the letters of representation and that their requirements were confined to the year-end position in relation to directors’ loans, no amount of warnings by the court to the jury of the dangers arising from the fact that the evidence of these witnesses had been coached from start to finish could have compensated for the pernicious effect that that process had on the testimony of those witnesses,” he said. Judge Alymer described the shredding of six documents by lead investigator Mr O’Connell as “extraordinary”. “We do not know what might have been in those documents. Notwithstanding the investigator’s insistence that he did not know the shredded documents to contain anything of particular relevance to the defence, there must be a doubt as to why he singled them out for destruction while at the same time preparing a schedule of disclosure for the other 16 documents,” he said. He said that the court retained a significant doubt that “those shredded documents may in fact have contained material which might have been of assistance to the defence or damaging to the prosecution”. Judge Aylmer listed the flaws in a five year long prosecution as the total lack of investigation as to how the letters of representation came into being, a failure to seek out the evidence of those on the audit team actually involved in procuring them, the coaching, contamination and cross-contamination of the auditor’s evidence, the partisan and biased nature of the investigation and the shredding of documents by the lead investigator. Sign-up today for full reports on the proceedings of the Central Criminal Court Ireland, the Special Criminal Court, the Court of Criminal Appeal and High Court extradition. As a subscriber, you'll have priority access to the full stories as soon as they are filed. If you represent a company or institution interested in subscribing to Courts News Ireland, please contact enquiries@courtsnewsireland.ie for more information about Group Subscriptions. If you're a newspaper professional or broadcaster interested in acquiring a licence to publish our content, please click subscribe and select the "Publisher's Account" option to have a Courts News Ireland representative contact you. Register now to receive alerts when new stories are posted to Courts News Ireland.